Perhaps you have heard the term rigor dropped now and again at staff meetings, professional development gatherings, and even in lunchroom conversations. Lest the term lose its glitter from overuse, let’s consider why it may be worth its weight in gold. When we as adult educators recognize the high stakes our students face and commit to the tall order of helping them succeed, we realize we need a high-yield investment. Rigor may be just that investment, one that provides our students the successful returns this era of high stakes demands. Let’s consider just how high the stakes are for our adult basic education (ABE) students. The “Tipping Point” study (Washington State Board of Community and Technical Colleges, 2005) found that individuals who completed one year of postsecondary education plus a credential had significantly higher earnings than individuals who held fewer than ten college credits. A more recent study (Mancuso, 2015) again showed this disparity, finding that individuals who met the “tipping point” earned on average $6,265 per year more and were 23% more likely to be employed than those who did not. High stakes, indeed. That is exactly the reason behind the Workforce Investment and Opportunities Act (WIOA; 2013-2014) that legislates rigorous instruction for all ABE students along a pathway towards college and careers readiness. Since students requiring at least one remedial college class have college graduation rates 27% to 39% lower than students who require no remediation (Wiley, Wyatt, & Camara, 2011), college and career preparedness is specifically defined as “academic knowledge and skills required to qualify for placement into entry-level college credit coursework without remediation” (Camara, 2013, p. 22). Therefore, to meet the high stakes, we must prepare all students for the rigor of college and careers and propel them toward the point where the balance tips from economic disparity to prosperity. When we consider these high stakes alongside the diverse needs of our ABE students, we recognize just how tall an order we, in partnership with our students, must fill. Each year, the ABE field serves approximately 1.8 million adults (Patterson, 2016) from a pool of 36 million who would benefit from ABE services (Coalition of Adult Basic Education [COABE], n.d.). Adult English language learners (ELLs) represent the largest portion of this population and present a wide variety of educational backgrounds and levels of language and literacy development, including students with limited and interrupted formal education (Lesgold & Welch-Ross, 2012). Native-born ABE students are equally diverse with wide variation in level of knowledge and skills, educational goals, and prior educational experiences (Lesgold & Welch-Ross). To magnify these needs further, 29% of all ABE students self-report having a learning disability (Mellard, 2013). As ABE educators, we are ready and willing to step up and mediate the melee of student needs. However, a number of professional and programmatic limitations often leave us ill-equipped to do so. According to Patterson (2016), 78.6% of ABE teachers are part-time, which limits the preparation time and commitment teachers can provide. Likewise, few ABE teachers have teaching preparation specific to the ABE population and limited professional development opportunities (Sun, 2010). In addition, ABE programming is severely underfunded, receiving approximately one tenth the funding of the K12 system: $800 per ABE student in 2014 (COABE, n.d.) versus $11,009 per K12 student of the same year (U.S. Census Bureau, 2016). Clearly, we are left with a tall order, indeed. What we can latch onto are instructional content and methods that offer our students an opportunity to meet this tall order as efficiently and effectively as possible. Rigor may offer just this opportunity. Researchers in education have defined rigor in a variety of ways. The definition I favor is that of Hess (2014) which describes rigor as “the complexity of content, the cognitive engagement with that content, and the scope of the planned learning activities” (p. 1). This definition lends itself well to instructional considerations around content and material selection, deep student engagement, and the design of challenging learning tasks. Regardless of the definition you prefer, rigor inherently requires the use of critical thinking and problem solving, skills that are overwhelmingly supported in the research as integral for success in college and careers (Camara, 2013; Conley, 2014; Foster, Strawn, & Duke-Benfield, 2011; Johnson & Parrish, 2010; Pimentel, 2013; Rothman, 2012). Even adult learners who may not enter postsecondary education benefit from rigorous learning. According to Parrish (2016), when considering the increased literacy and critical thinking demands placed on adult ELLs as they compete in the job market and navigate everyday tasks, it is critical for ELL instructors “to imbed these higher order, more complex academic and career-readiness skills early and often at all levels of adult English language acquisition” (p. 3). How well does ABE instruction deliver on its commitment to prepare ABE students for college and careers? Johnson & Parrish (2010) surveyed college faculty and ABE instructors and found four critical gaps between what postsecondary faculty expected students to know upon entering postsecondary education and training and what ABE instructors were actually teaching: critical thinking, notetaking, technology, and presentation skills. Of particular note, Johnson and Parrish found that 60% of college instructors regarded the critical thinking skills of paraphrasing, summarizing, and synthesizing as very or extremely important, whereas ABE instructors reported teaching these skills only sometimes or rarely. Clearly, to deliver upon our commitment to our students’ success, we must better prepare them to meet the higher expectations of the future. WIOA and its legislated rigorous content standards for all students provides the opportunity to do just that in earnest. The College and Career Readiness (CCR) standards were designed to articulate the knowledge and skills needed to meet the rigorous demands of college and career readiness. According to Pimentel (2013), these standards articulate three research-based instructional advances designed to increase instructional rigor by targeting high-impact cognitively demanding skills. One of these key advances is regular student engagement with complex informational texts. According to Williamson (2006), prior to the CCR standards, a gap of approximately four grade levels existed in the level of complexity between secondary texts and postsecondary texts. In addition, the ACT study (2006) found the ability to read complex text to be the best predictor of college and career success. Taken together, these studies indicate that developing the ability to read complex text may better prepare students for college and careers. According to Pimentel (2013), college faculty input and national assessment data indicated the use of evidence to be a critical skill for postsecondary preparation. As such, the second key advance is a focus on student “reading, writing, and speaking grounded in evidence from text” (Pimentel, 2013, p. 10). This focus ensures that students must rely on the text to develop their understanding, limiting the role of their prior knowledge and experiences and increasing the need to develop deeper understanding of the text itself. Tied to this reliance on text is the third advance, “building knowledge through content-rich nonfiction” (Pimentel, 2013, p.10). This advance recognizes the need for students to build their knowledge base through text in all content areas while developing the ability to read complex text and use critical thinking skills. How do CCR standards live up to their design? So far, there is little research available to support or dispute their effectiveness. My dissertation, Minnesota Adult Educators’ Descriptions of Standards Implementation and Its Influence on Cognitive Rigor (Conklin Olson, 2017), set out to answer this question. I interviewed 12 ABE instructors regarding their experiences implementing CCR standards in their classes and what they believed to be its impact on the cognitive rigor of their instruction and student learning. Ten of 12 participants reported that their CCR standards implementation increased the rigor of their instruction and their students’ learning. Participants described choosing more complex texts, implementing tasks that demanded increased cognitive rigor, and setting higher expectations for students. In reference to student learning, participants reported that their students demonstrated higher levels of rigor, met increased expectations, and experienced increased confidence and self-reliance. Obviously, more research is needed to measure the impact implementation of rigorous standards has on the learning outcomes of ABE students. However, this small study offers a hopeful glimpse into its potential. Even if we knew unequivocally that imbedding rigor via CCR-aligned standards would result in more successful student outcomes, we would still need to build our own knowledge and skills to exploit its potential to the fullest. The LINCS website, under the auspices of U.S. Department of Education, Office of Career, Technical, and Adult Education, contains a full battery of professional development resources designed to train educators to enact rigorous instruction and effective implementation of CCR standards. Equipped with high-quality, CCR-aligned instructional resources (be sure to access publisher-provided correlation charts or request them if not available), we are on our way to facilitating the high returns we envision for our students. It’s true that a focus on college and career readiness demands a disconcerting concerted effort on the part of us and our students. Yet, when we acknowledge the high stakes our students face, we recognize that these high stakes necessitate the tall order of preparing all students along a pathway to college and careers. To fill that tall order, we must believe in the glitter of rigor, not as a flash in the pan, but as a 24-carat commitment to provide rigor-rich content, rigorous student engagement with that content, and rigorous knowledge and skill building along a pathway to college and careers. True, all that glitters is not gold, but rigor…well, it just may be the real deal. Lia Conklin Olson, PhD has been an instructor for St. Paul Adult Education for twenty years. In addition, she is an adjunct professor for the Teaching English as a Foreign Language program at Hamline University and a curriculum developer of College and Career Readiness standards-aligned curriculum for Minneapolis Adult Education. Dr. Olson is the author of the New Readers Press series What’s Next? (2012) and Bridging English Language Learners to GED Prep teacher’s guides (2017) as well as the series consultant for Road to Work (2017). 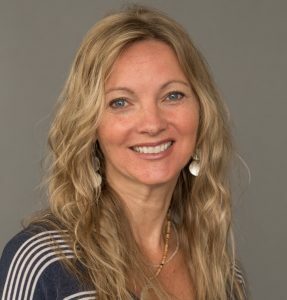 Dr. Olson focused her PhD dissertation on CCR standards implementation in Minnesota (Adult Basic Educators’ Descriptions of Standards Implementation and Its Influence on Cognitive Rigor; 2017). 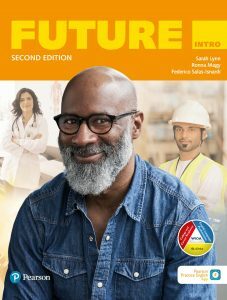 The new edition of Future: English for Work, Life, and Academic Success integrates English language instruction with workforce, academic, and soft skills and the latest digital tools in one complete program. 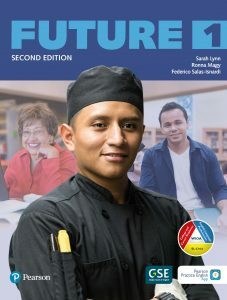 Built on the backbone of College and Career Readiness (CCR) and English Language Proficiency (ELP) Standards, Future empowers students to successfully reach their work, life, and academic goals. The new edition features increased rigor built into all lessons at every level that challenges students to analyze, evaluate, predict, infer, and problem-solve. 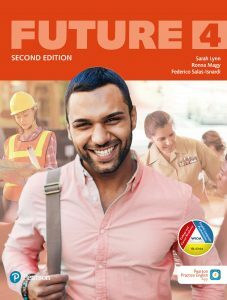 Future‘s curriculum closely aligns with WIOA, NRS, ELPS, and CCRS. The skills and competencies are fully and seamlessly integrated in every lesson of the program, equipping learners with higher order skills to help them achieve their personal, professional, and educational goals. 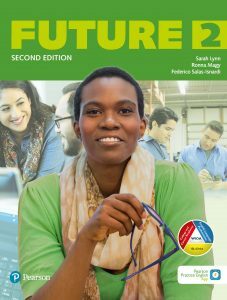 Future, 2E is the best solution to ensure your students’ success. ACT. (2006). Ready for college, ready for work: Same or different. Iowa City, IA: Author. framework. Educational Measurement: Issues & Practice 32(4), 16-27. doi:10.1111/emip.12016. adult ESL students. TESOL Quarterly, 44, 618–628. doi: 10.5054/tq.2010.230742_2. Document). Department of Social & Health Services. Retrieved from http://www.sbctc. Patterson, M. (2016). Full-time instructional staffing and outcomes of advanced adult learners. Rothman, R. (2012). A common core of readiness. Educational Leadership, 69(7), 10-15.
adult basic education and literacy systems. TESOL Journal 1(1). doi: 10.5054/tj.2010.215135. Readiness Index. Research Report 2010-3. College Board. services for immigrants and refugees. In A. Belzer (Ed. ), Toward defining and improving quality in adult basic education: Issues and challenges (pp. 221–240). Mahwah, NJ: Erlbaum. Standards are changing. We’ve got your back. In January, the U.S. Office of Career, Technical, and Adult Education (OCTAE) released the long-awaited updates to the National Reporting System for Adult Education (NRS), including the new Educational Functioning Level (EFL) descriptors for ESL. These updates are of critical importance to programs that receive funding under the Workforce Innovation and Opportunity Act (WIOA). The details of the revision are provided in the document titled “Technical Assistance Guide for Performance Accountability under the Workforce Innovation and Opportunity Act,” which can be accessed here. Below is a summary of what you need to know about the new NRS EFL descriptors for your English language learners. Please note that these descriptors are still evolving, and it is not clear when the changes will come into effect. We will update you when there is additional information published by OCTAE. The NRS descriptors for English language learners cover six educational functioning levels (EFLs). Interpretive: Receptive skills to understand, process, and interpret written and oral language delivered at an appropriate level and presented in a variety of contexts and genres. Productive: Productive skills that allow learners to produce spoken and written language that transmits meaning in a variety of contexts, both in everyday and academic interactions. Interactive: Skills that allow learners to process and produce meaningful interactions in spoken and written forms in a variety of contexts and settings. The revised NRS EFL descriptors for English language learners draw content from the recently published English Language Proficiency Standards for Adult Education (ELPS). The ELPS are designed to identify skills most important and most relevant for adult English language learners as they pursue their educational, career, and life-improvement goals. The ELPS integrate with the College and Career Readiness Standards (CCRS), providing a foundation for academic rigor. The revision of the NRS EFL descriptors calls for an increase in text complexity and progression of topics (progressive complexity) from familiar to academic in both instruction and assessment. Materials need to present level-appropriate text complexity that includes demanding language structures, academic vocabulary, and concepts as well as tasks that develop problem-solving and critical thinking skills. The new version of the NRS EFL descriptors puts a significant emphasis on the development of college and career readiness skills and the integration of academic rigor in the English language learning process at all levels, including the use of level-appropriate academic language in a variety of academic content areas, and including informational text in science, technology, engineering, and mathematics. The new NRS EFL descriptors promote the integration of technology in instruction, including the application of digital tool and resources, and the development of learners’ digital literacy. Although these new NRS EFL descriptors present the most important concepts and skills that should be taught at each level, they also leave room for state and local instructional frameworks and standards to guide lesson planning and curriculum development. 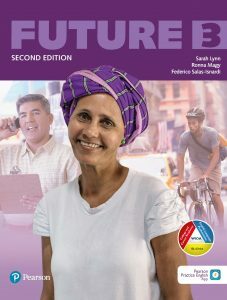 In this new WIOA landscape, programs need to not only help learners develop competence in reading, writing, speaking, and listening, but also develop the skills to problem-solve, evaluate complex texts, analyze information, and think critically so that they are prepared to achieve their educational, career, and personal goals. Pearson ELT is committed to adult education and to the instructors who work to help learners achieve success. We are committed to keeping up with the changing landscape of adult education and to ensuring that our materials and tools are in alignment with the most recent standards. Comprehensive correlations of our materials to current standards are at your fingertips and can be accessed here. The chart below outlines the correspondence of the NRS EFL descriptors to CCRS, ELPS, and CASAS and shows how Pearson materials are positioned within each level. Click on the chart to enlarge the image.